SAS uses libraries to organize files. These libraries point to folders where data and programs are stored. To view existing libraries, select View Explorer on the main menu. You can view the files in a library by selecting the library name from the list of libraries in the left panel of the Explorer window. To create a new library, select File New Library on the main menu. In the Library Wizard — Selection Action window, Create New Library is automatically selected. Click Next. In the Library Wizard — Create or Modify window, enter the Name, Path, and Options for your library. 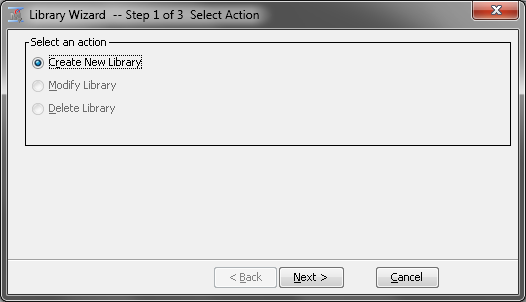 In the Library Wizard — Confirm Action window, a summary is displayed. Click Finish. 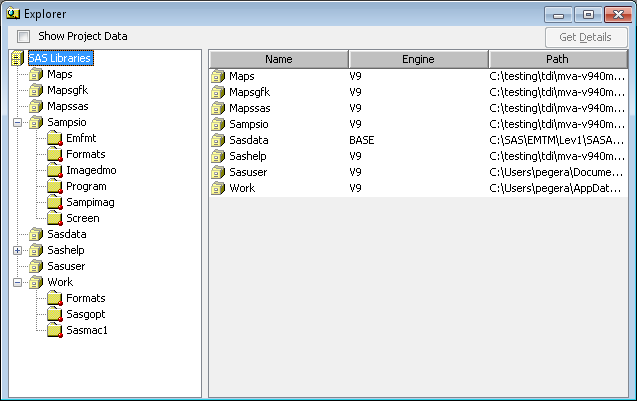 SAS Enterprise Miner automatically assigns several libraries when you start it. One of those libraries is SAMPSIO and contains sample data sets. Any data set in the library can be referenced by the two-level name that is constructed by using the SAS library name and the SAS data set name. For example, the HMEQ data set in the SAMPSIO library is identified by the two-level name SAMPSIO.HMEQ.